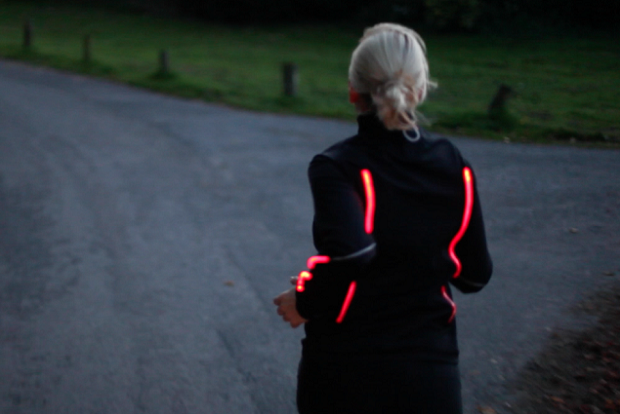 Simon Weatherall's Glofaster range aims to help runners and cyclists monitor their performance. As the discontinuation of Google Glass (for the time being) demonstrates, wearable tech isn't quite mainstream yet. That's probably because in many cases people don't want to walk around with a monstrous futuristic gadget strapped to their body like someone from Battlestar Galactica. Clearly its future lies in becoming more refined and more fashionable. One British entrepreneur has clearly convinced the buyers at Harrods that his range fits this criteria. 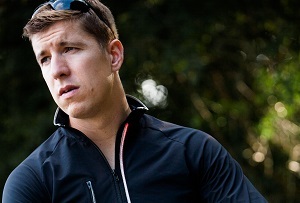 Simon Weatherall, an ex-Royal Marine has developed Glofaster, exercise gear that contains LEDs to help runners and cyclists monitor their performance without having to check their phone or heartrate monitor all the time. 'I was out one day for a run and thought wouldn’t it be cool to have light up trainers and then I thought actually that’s a bit rubbish, how about a whole suit that lights up – and then it will be a bit safer,' he told MT. So he set to work developing the clothes, initially with velcro and sticky tape at his kitchen table and later with the help of former Abercrombie and Fitch designer Joanna Kent. 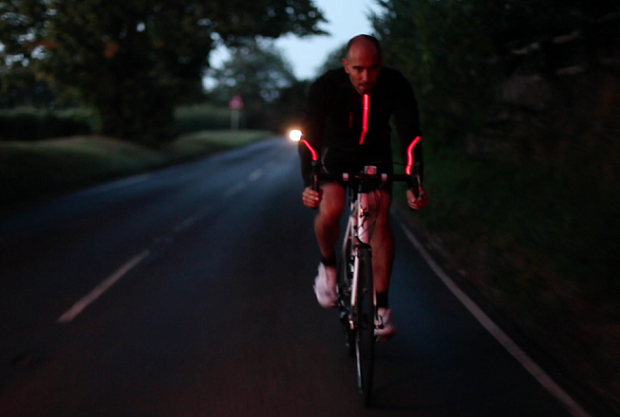 Some of the clothes are just for safety purposes - on a dark night it's a lot easier for a motorist to notice a cyclist lit up like somebody out of Tron than one wearing a normal hi-vis vest. But with the addition of the 'Glofaster Gizmo', a matchbox-sized computer which slips into the lining of the jacket, the LEDs become a training aid. The gizmo connects wirelessly to a Glofaster app on your phone, which can in turn be connected to a heartrate monitor. 'If youre not working hard enough the lights will flash, if you reach your target heart rate the lights will stay on,' says Weatherall. Weatherall appeared on Dragons' Den last year and didn't receive any funding, but says it was a 'great experience' and that he got 'the best feedback'. He's since managed to get backing from a number of other angels and as of this month the range is now stocked at Harrods – a tough target but one that Weatherall chose deliberately.